This December Drill weekend goes with 2 sortie one in the morning and another in the afternoon. We spot 3 types of callsign namely, Spads, Mustang and Beast. 2 flights was coming in to land when they do the Tac Initial on Runway 18 due to the strong South wind. One flight of 2 Spads call sign Mustang finishes the morning sortie. Another great catch came from a KC-130T from VMGR-452 Yankees cross midfield and landed. 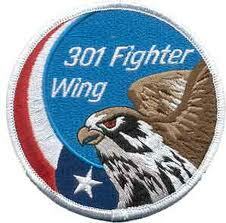 We suppose to get a 1400hr launch for 10 Spads and 4 A-10C from 357thFS from Davis Monthan AFB. Unfortunately, only the Spads flew and not those Hogs. Still our Spads did a spectacular show of force with 10 aircraft in the air . Next → Next post: RAF Benson Base Spotting!